April 16, 2010  Many on Florida's "space coast" had feared a huge loss of jobs with the end of the space shuttle program. Communities from Titusville to Melbourne depend on Cape Canaveral. Obama's NASA vision promises 4,500 jobs will be created. April 15, 2010  Tea party activists demonstrated outside the Kennedy Center on Thursday while President Obama addressed NASA workers. The protesters accused the president of not providing NASA with a clear direction and a specific mission. April 5, 2010  There's no explanation yet for a spate of brain-cancer cases among children who live in an area of Palm Beach County called The Acreage. State health officials confirm the numbers are higher than normal, but they haven't been able to pinpoint a cause. And that has families frustrated. March 17, 2010  Diageo, the company that manufactures Captain Morgan, wants to move production of the rum from Puerto Rico to the U.S. Virgin Islands. The move would cost Puerto Rico billions of dollars in lost revenue. March 9, 2010  Florida is the only state with an outright ban against adoptions by gay people, but that may not be true for long. State courts have overruled Florida law in three cases and approved gay adoptions. The state, however, has appealed the court rulings and says it will continue to fight to uphold the law. 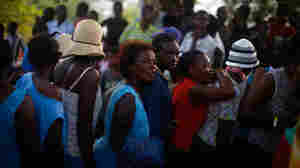 February 25, 2010  With most schools closed in the Haitian capital Port-au-Prince, many Haitians are sending their children to friends and family in South Florida. School districts there already are seeing a steady influx of Haitian students and many more are expected. So far, school districts say they can accommodate the new students but some say they will need financial help to cope. February 23, 2010  Three years ago, the federal government began setting up special Medicare fraud strike forces. The first was in Miami, and it was an immediate success, saving billions of dollars in fraudulent claims in one county alone. Similar strike forces have now been set up in cities around the country. 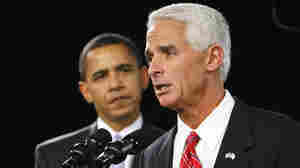 February 12, 2010  Once considered a sure bet to win the GOP Senate nomination in Florida, Gov. 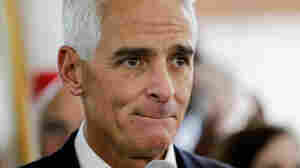 Charlie Crist now finds himself trailing conservative challenger Marco Rubio in most polls. 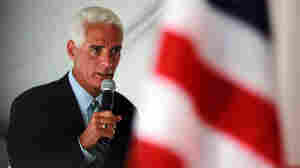 Nonetheless, Crist appears unruffled and says he's focusing on his current job as governor. February 5, 2010  Doctors say treating severe injuries like those experienced by earthquake victims may end up costing $100,000 or more per patient. But South Florida hospitals are planning to remain at the forefront in providing care.